Bing, Yahoo & Google: Are You Following Same SEO Strategies for All 3? Do you have an impression that if you are doing well with Google then you must be doing well with search engines such as Bing and Yahoo as well? If yes, then time to clear the air. You should know that each of these search engines has its own optimization process and following the exact path would make you miss some amazing business opportunities. Each of these search engines has its own search market share and hence you will need to focus upon each of them with new SEO Strategies. The chart below shows the search market share of each of three in different industries. Before, we proceed, it is important for the readers to know that Yahoo and Bing have an alliance. 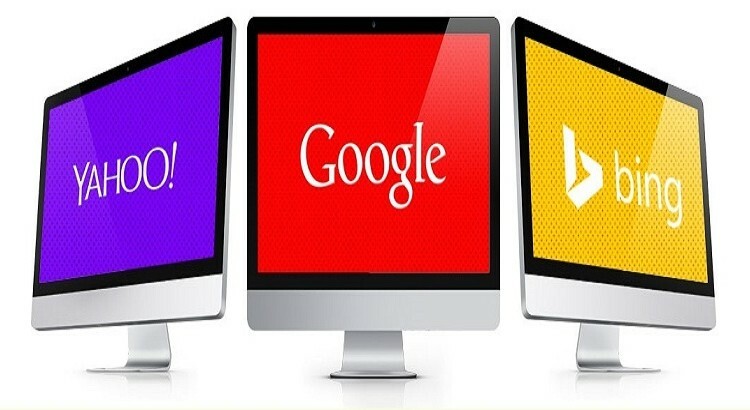 This means you are left with just two search engines to focus upon – one is Google and other is Yahoo and Bing. To understand the concept, we will consider the differences and similarities that exist between these two search engines, the search ranking factors and the need for optimization. Let us start with the similarities. Links: When it comes to back links, both Google and Bing lay emphasis over high quality links to your website. Local Search Results: In both cases, the content and optimization for webpage should include keywords based upon the geographic locations to see success in the local results. Paid Search: Paid search works in the same way for both the search engines. Google: The creativity gets restricted a little in this case as Google’s algorithm identifies the synonyms and context for a keyword. Google: For the keywords that have double meanings, the most popular website would rank first. Bing: In this case, the local results are listed first for the dual meaning keywords. Google: Google does not fall for domain age to calculate the page authority. However it does gives preference to .edu and .gov, domains. Bing: Bing does consider domain age when assigning rank and calculating the page authority. Also, it does favor .edu and .gov websites. Bing: Bing crawls Flash websites very well and even gives credit to the websites using it. Google: Google last year, launched the mobile friendly label for the websites shown in mobile search. Since April 21st, 2015, Google has started using mobile friendly websites as a primary factor ranking factor. This means Google pays attention to the mobile-friendly websites. Yahoo & Bing: Yahoo has not yet started considering this trait as a ranking factor. Bing has however, added the Mobile-friendly label in their mobile search results. But, there is no news regarding mobile search being used as ranking factor. Now when you know that all three search engines require different optimization techniques, our next of course of action is to evaluate how to optimize each of them. Check out out next post to know about the same.